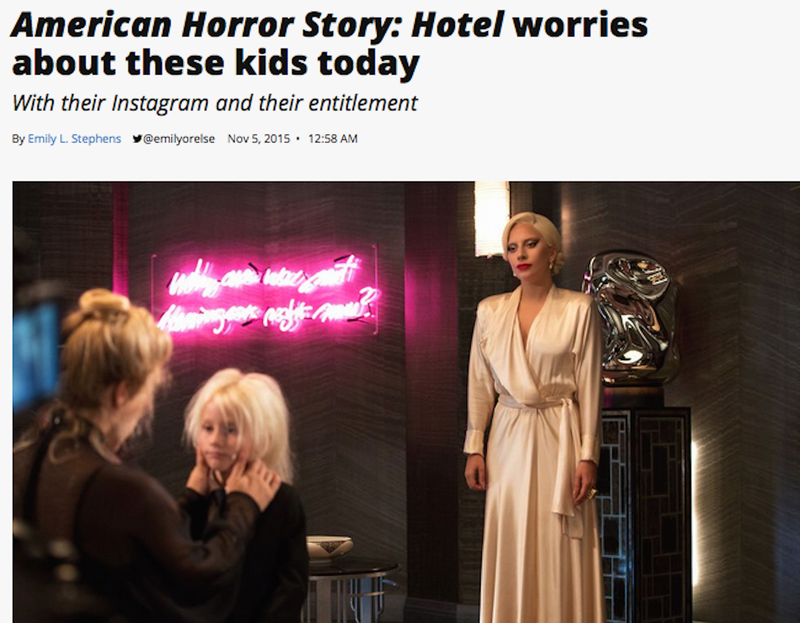 American Horror Story: Hotel worries about these kids today, with their Instagram and their entitlement and their Oedipal fixations, when it should really be worrying about the adults’ misguided efforts, and also American Horror Story: Hotel just wishes you would just call if you’re going to be out late, that’s all, it doesn’t seem like a lot to ask, but AHS: Hotel doesn’t like to make a fuss so if you can’t be considerate it will just sit over here and not complain, not even a peep. Happy 40th birthday to Sesame Street! In celebration, I suggest you take a one-minute dance party and shake it to the pinball song.